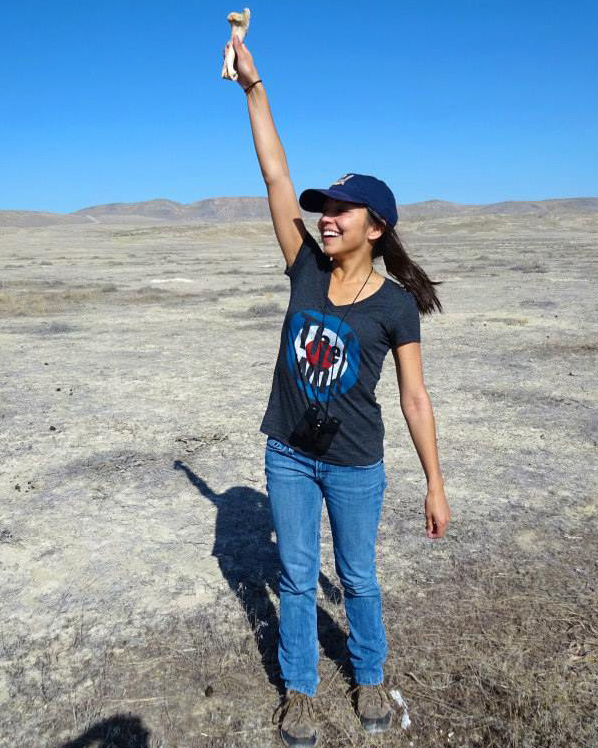 The Natural History Museum of Utah offers unique and rewarding opportunities through summer internship and research fellowship positions. The internship program is not running in summer 2018. Please bookmark this page and stay tuned for future updates. NHMU cares for significant archaeological and ethnographic collections that represent the prehistory and ethnographic history of the Great Basin and Colorado Plateau, as well as comparative collections from North and South America. We offer an Anthropology Collections Care Internship at NHMU, which is completed between the months of June and August. The internship is envisioned to be a paid summer position that would introduce students to collections care and management at NHMU. Recipients are expected to work on a specific project determined by the collections manager, to be completed within the timeframe of the internship. There will also be opportunity to learn collections cataloging and object analysis, and conduct research, storage, care, and conservation. Applicants must be eligible for employment in the U.S. and be enrolled as a student in a college or university during the internship. Those with a museum studies or anthropology emphasis are preferred for this position. 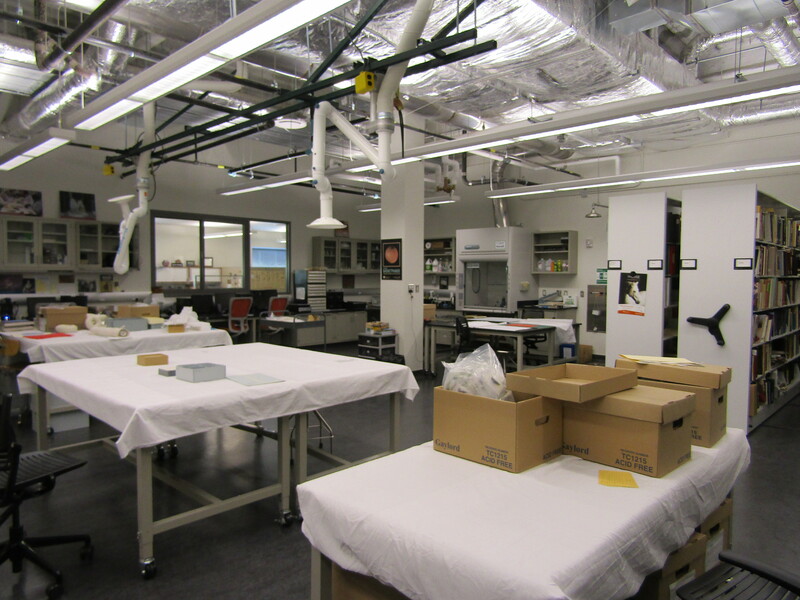 The archaeological and ethnographic collections of NHMU include significant material from the Great Basin and Colorado Plateau, among other regions. To encourage research on these collections and to provide students with opportunities for collections-based research, NHMU is pleased to offer an Archaeological/Ethnographic Collections Research Fellowship. 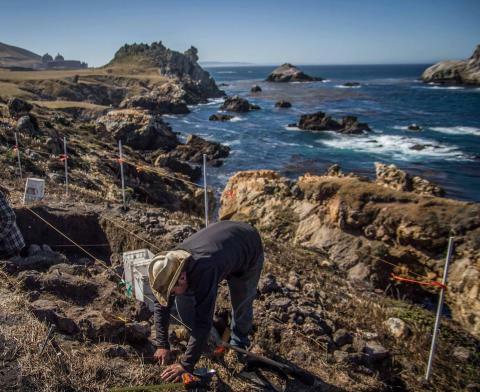 This fellowship supports a graduate student for two months (one month extension possible with curator approval) plus associated expenses while using the NHMU archaeological and/or ethnographic collections. Applicants must be eligible for employment in the U.S. and be enrolled as a graduate student at a college or university. Projects must be completed within two months, sometime between June and September. Awardees are required to make a public presentation about their results at NHMU and submit an abstract for use on the NHMU website. "During my time as a Museum Research Fellow in the summer of 2016, I analyzed and identified thousands of bird bone fragments from Homestead Cave, a site located just west of the Great Salt Lake. While there were some human artifacts found in Homestead Cave, a vast majority of the deposit comes from owls that were roosting in the cave. This site is essentially a 13,000 year record of what owls were eating and, consequentially a record of what animals have been living around that area since the last ice age. I am focusing on the bird remains because many bird species are adapted to specific environments. The changes in relative abundance of bird taxa through time can thus be used as a proxy for local environmental change. This information can help to corroborate other environmental proxies (like pollen records, isotopes, etc. ), and can show how different bird taxa responded to environmental changes in the past. In the future, I hope to use this information to help advise modern wildlife conservation in the face of the current major environmental changes. 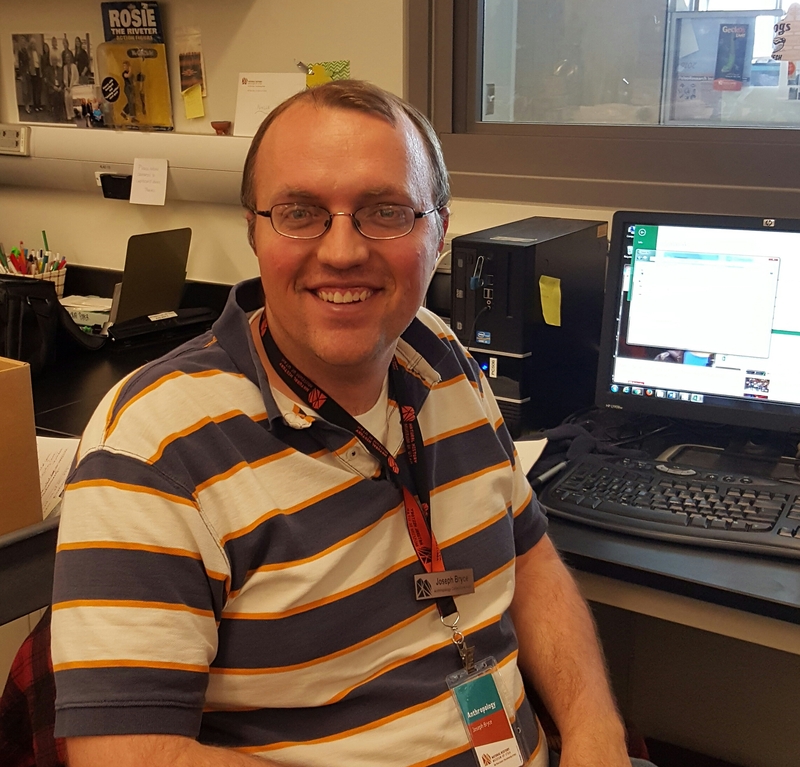 The Archaeology and Ethnographic Collections Research Fellowship allowed me to spend long hours in the lab composing this extensive dataset to answer my own research questions, and also compile the data in a format that will be useful for future researchers." "The Internship in Anthropology Collections Care at the Natural History Museum of Utah during the summer of 2015 gave me some great experience working with incredible collections. It was great learning from the staff and getting to interact with the different roles and divisions within the museum. My internship experience involved a diverse set of projects including database systems and education outreach in addition to collection management. I really appreciated my time there and the things that I learned." "As a 2015 Museum Research Fellow I created a photographic database of over 2,000 projectile points and projectile point fragments from four important Utah archaeological sites: Danger Cave, Hogup Cave, Sudden Shelter, and Swallow Shelter. The artifact photographs, taken from multiple perspectives, enable researchers interested in projectile point morphology to remotely view and measure the projectile points without having to remove them from storage collections or visit the Museum. The high resolution and careful lighting conditions under which these photographs were taken surpass previously published photos of the artifacts, enabling researchers to examine flaking characteristics such as retouching or types of breakage. I am using measurements taken from the photos in a portion of my dissertation examining relationships between projectile point morphology and the hunted faunal remains at these sites as well as several other future papers related to projectile point morphology. The Archaeology and Ethnographic Collections Research Fellowship was an incredible opportunity that allowed me to engage in this time-intensive data collection process for my own research while simultaneously increasing the reach of these important Natural History Museum of Utah collections for the larger archaeological community."